Southampton In The Race To Sign Sensational Aston Villa Attacker: What Can He Add To Hughes’ Side? 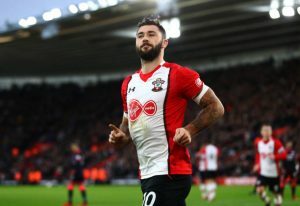 Southampton managed to hang by the thread in the Premier League last season as they finished 17th and now they will be looking to add reinforcements in the transfer market so that they don’t have to go through a relegation scare yet again. They are currently being linked to Aston Villa‘s young striker Keinan Davis. Davis provided the Villans with a focal point of attack and the 20-year-old showed huge potential under Steve Bruce and slowly went on to become an important player for him last season. However, their season ended on a sorry note as they lost the Championship finals and the club is going through a financial turmoil currently. They have been threatened with a winding-up order from HMRC following a late tax bill worth up to £5million and the Villans might have to sell some of their key assets to solve their financial problems. The Saints managed to fight for another season in the Premier League and it seems like the continuous raid of their players from top Premier League clubs over the years has caught up with them finally. It is time for them to reinvest that money they made by selling their players and Davis can be a cheap striking option. According to reports, the Saints are going to bid somewhere around £3-4m for the striker. The Saints struggled to find the back of the net, especially when Charlie Austin was out injured last season. They managed just 37 goals in their entire campaign and are in need of proven scorers. A lot was expected out of Manolo Gabbiadini but the Italian managed to score just 5 goals throughout the season. However, he did manage to score the most important one of the campaign for them as he netted the solitary goal in an encounter against fellow relegation-strugglers Swansea City to send them down to the Championship. Davis was named Aston Villa’s young player of the season and they will certainly be disappointed to see him leave after an impressive season. However, the club is in dire straits and he might very well be sold in the current transfer market. Read More: Aston Villa Look To 31 Y/O Watford Man As Sam Johnstone’s Replacement: Right Man For Steve Bruce? The Englishman will certainly add more strength in the attacking department and will bring in competition for places for the likes of Shane Long and Manolo Gabbiadini. As we have seen, Austin is quite injury prone and Mark Hughes will certainly need proven options up front. It remains to be seen whether the move will take place and how the 20-year-old will fare in the English top division. Barcelona Come Calling Once Again For Liverpool’s Talisman: Can They Afford To Lose Him? West Ham United Looking To Sign This Exciting Argentine Winger: Can He Make Their Squad Stronger? 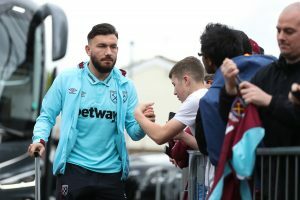 4-1-4-1 Aston Villa Predicted Lineup Vs Burton Albion: An Unchanged Side For The Villans? Aston Villa Reject Reading’s Bid For This Versatile Player: As Astute Decision By The Lions? Newcastle United Not Interested To Table A Bid For In Demand Aston Villa Star: What’s Their Dilemma? Aston Villa Keen To Land 24 Y/O Blackburn Rovers Ace: Good Fit For Their Squad? Scottish International Moves To Aston Villa On Loan: A Shrewd Move By Bruce?